A fabulous accessory kit perfect for capturing the character Tallulah in your Bugsy Malone Production! 1x Vintage style embroidered black handbag. LIMITED STOCK: As there is only one of these sets available, if it turns out that it is already booked out on the dates you’d like, we will contact you and refund your money within 24 hrs. Also check out our essential Blousy Brown accessory kits! A fabulous Tallulah accessory kit perfect for your Bugsy Malone production! 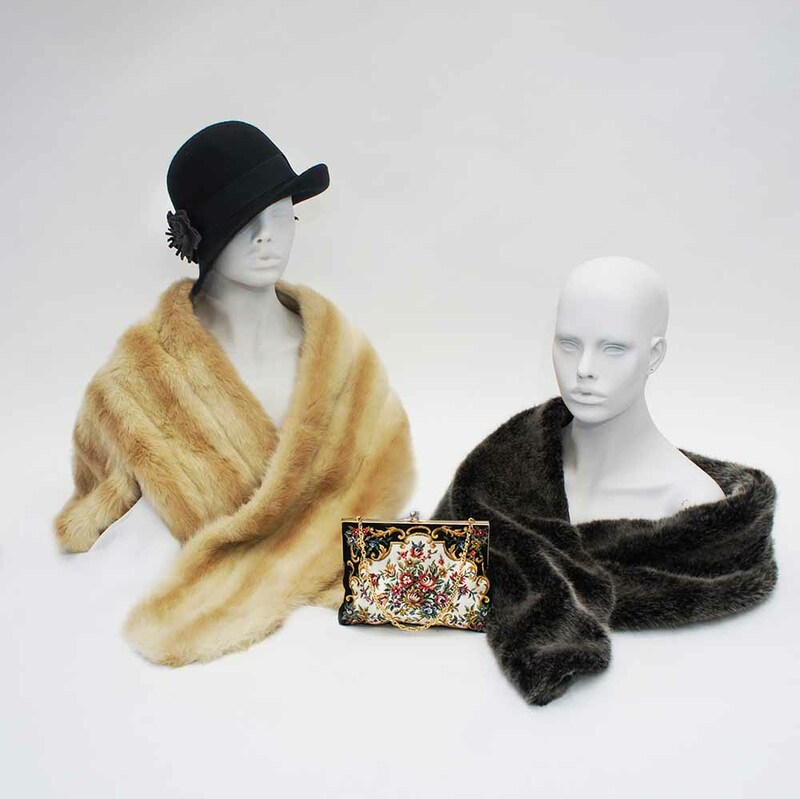 The Tallulah accessories kit consists of a Black 1920’s Style hat, a cream faux fur shawl, a grey/black faux fur shawl and a vintage style embroidered black handbag. All items in this kit are vintage! The price to hire this accessories kit is on a sliding scale per week. These accessories are brilliant extras for your Tallulah character and will fit Adults or children. All you need to add is your own dress. There is a one off £100 deposit on all hires. This will be refunded once your hire items have been returned to us. Please see our terms & conditions for more information. As there is only one of these kits available, if it turns out that it is already booked out on the dates you’d like, we will contact you and refund your money within 24 hours.